Or the We-Want-People-to-Like-Us-by-Giving-Away-Free-Stuff Contest. You see why we went with the shorter title? It's pretty simple: 20 letters from 20 different movie posters. 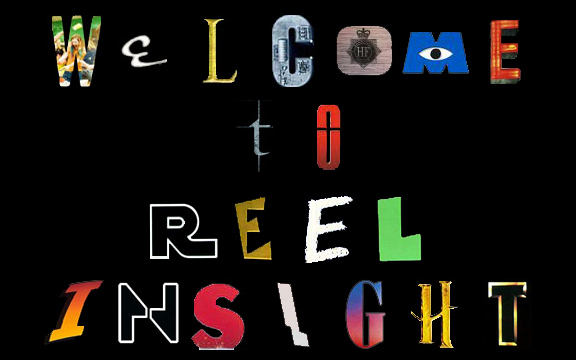 Write to us at reelinsight[at]gmail[dot]com with your answers before April 13th, next Friday. The results and answers will be posted Saturday, April 14th. 2. Send answers to the RI email only to be counted. Subject: Poster Contest. Please provide your name and site, if applicable. 5. ADDENDUM: In order to get more people to literally like us, you have to follow us on Twitter or like us on Facebook to be eligible. Thanks to Joel for the idea! Hoping for loads of participants. Good luck! You know I'm in for this - fun contest! I must win! Back of Dylan this one goes to Sweden. Rachel: "We-Want-People-to-Like-Us-by-Giving-Away-Free-Stuff Contest" you shpuld add that people that follows you on facebook get a couple of extra points and that new likes will be valid to, that can probably gain some FB followers for you. Same could be applied to your Twitter. Good idea Joel. Maybe add an addendum that says you have to like us or follow us to be eligible. Nice thinking! I've only got one entry so far, and he qualifies for both. Best of luck to Arizona and Sweden! Love the idea Joel! Like us, really like us. Sorry. This is, like, brilliant and I'm, like, totally in love with this. Time Lord must win! I wish I could say it was all my idea, but clearly I stole it. It was ALL her idea. And she did all the work. Why on earth does she want me around? Reason #789: I couldn't start rumors among my coworkers when I get flowers at the office outside of June. Reason #337: Twitter would defeat me without you. Reason #1: People would mock me for talking to myself for 90 minutes on a podcast. I'm unsure whether I should even try. Just staring at it for about 5 minutes now and I can't name more than 10, and not all of those are certain. I know there must be at least 3 people in your pool of listeners/readers that can top me easily. Also, I think the guest spot is the best prize. Please try, David! 10 would be a very respectable score. I'd say you are a frontrunner if you have ten of them right of the bat. This was a lot harder than I thought of to begin with. I won't say how many I have, but it's more than 10. Yeah, I'm backing off my early enthusiasm and starting to not like this thing - it's hard! Just don't forget to feed Alexandra! I have all but 6 and am sure about all that I have but two. Well, I know how many Dylan has right, so I'm interested to see what you can do, Kai. I wish I'd gotten one more I think I got the obvious ones only.